Home » Publications » Frequently Asked Questions » Is it possible for teens to become addicted to marijuana? Yes. Contrary to common belief, marijuana is addictive. 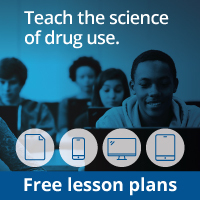 Estimates from research suggest that about 9 percent of users become addicted to marijuana; this number increases among those who start young (to about 17 percent, or 1 in 6) and among daily users (to 25–50 percent).32 Thus, many of the nearly 7 percent of high-school seniors who (according to annual survey data)33 report smoking marijuana daily or almost daily are well on their way to addiction, if not already addicted, and may be functioning at a sub-optimal level in their schoolwork and in other areas of their lives. Long-term marijuana users who try to quit report withdrawal symptoms including irritability, sleeplessness, decreased appetite, anxiety, and drug craving, all of which can make it difficult to stay off the drug. Behavioral interventions, including Cognitive-Behavioral Therapy and Contingency Management (providing tangible incentives to patients who remain drug-free) have proven to be effective in treating marijuana addiction (see descriptions of these treatments). Although no medications are currently available to treat marijuana addiction, it is possible that medications to ease marijuana withdrawal, block its intoxicating effects, and prevent relapse may emerge from recent discoveries about the workings of the endocannabinoid system, a signaling system in the body and brain that uses chemicals related to the active ingredients in marijuana. Legalization of marijuana for adult recreational use and for medicinal purposes is currently the subject of much public debate. Whatever the outcome, public health experts are worried about use increasing among adolescents, since marijuana use as a teen may harm the developing brain, lower IQ, and seriously impair the ability to drive safely, especially when combined with alcohol. Parents seeking more information about the effects of marijuana on teens are encouraged to see information offered on NIDA’s Web site: www.drugabuse.gov/drugs-abuse/marijuana. Various household products, including cleaning fluids, glues, lighter fluid, aerosol sprays, and office supplies like markers and correction fluid, have fumes that are sometimes breathed to obtain a brief, typically alcohol-like high. Because of their ready availability, these are frequently among the earliest substances youth abuse; they are generally less popular among older teens, who have greater access to other substances like alcohol or marijuana. Although the high from inhalants typically wears off quickly, immediate health consequences of inhalant abuse may be severe: In addition to nausea or vomiting, users risk suffocation and heart failure—called "sudden sniffing death." Serious long-term consequences include liver and kidney damage, hearing loss, bone marrow damage, and brain damage. Although addiction to inhalants is not very common, it can occur with repeated abuse. Early abuse of inhalants may also be a warning sign for later abuse of other drugs. One study found that youth who used inhalants before age 14 were twice as likely to later use opiate drugs.34 So it is important for parents to safeguard household products and be alert to signs that their younger teens may be abusing these substances.